This past week we had a good dose of joyful celebration in and around Philadelphia, with the remarkable visit of Pope Francis. Pictures abound from family and friends who each had a story about their exceptional seat, or the way Francis looked right at them as they took his picture along the processional route up the parkway. Stories were shared from Washington, to New York and Philly, some especially good views that my brother had as a priest concelebrating mass in Washington and twice in Philly. In the weeks and days leading up to the event, so many asked me would I be going, and was I going to meet the Pope, or to concelebrate one of the Masses. 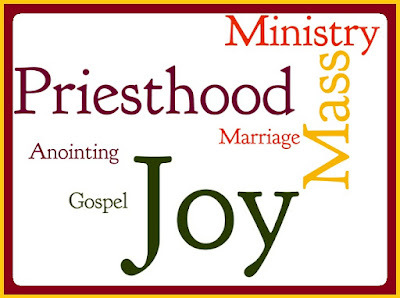 What a thrill that would be as a newly ordained priest! Thank you to all for those caring and loving thoughts, and yes, it would have been a thrill. Instead, I had a different kind of thrill – to live out these days of Francis in my daily ministry - as a parish priest. It is a daily gift to serve the people of my parish, and a source of deep joy for me. It is a daily experience of the sacrament of the Church, as the Second Vatican Council referred to our lives of faith. So, as we read in Psalm 47, “I will come to the altar of God, my God, my greatest joy.” With that in mind, what was the cause of my priestly joy during the visit of Pope Francis? I was moved by watching the news coverage of his visits, and in reading his beautiful words offered in Washington, New York and Philadelphia. I also found great joy in celebrating the marriage of a young couple on Saturday, instead of going into Philly; their pledge of love in our church – one of two marriages celebrated in our church that day – was beautiful to witness, and was a moment of evangelization to their families and friends. 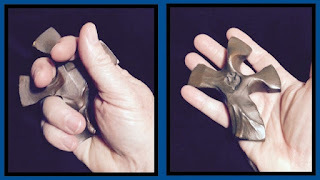 And at the end of that Mass, a visitor with tears in her eyes asked if I might be able to visit her brother with the sacrament of anointing in one of our nearby rehabilitation facilities, as his health was very fragile; so, with the joy of priesthood in my own heart, I had the opportunity to offer the Sacrament of Anointing to her brother, a gentle man who has served for 67 years as a priest in our neighboring diocese of Camden. There was great joy on the parkway in Philadelphia, for sure. 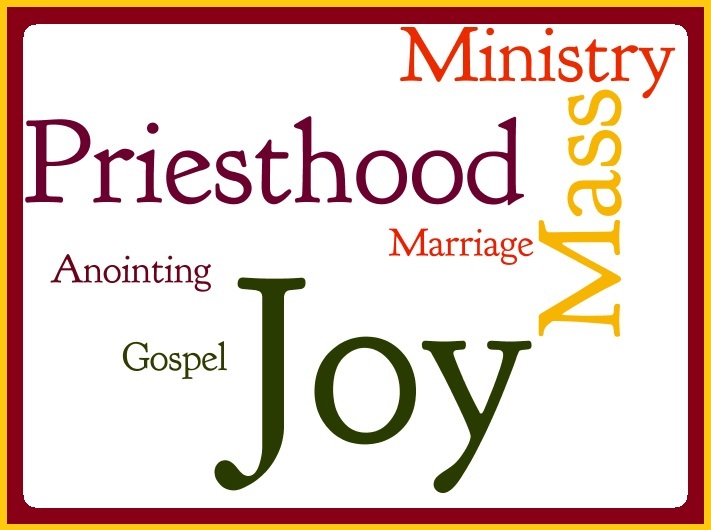 But there was also great joy in Moorestown, as I had the chance to live out the motto of my seminary as a “dispenser of the mysteries of God” within this parish. I think Francis would approve of where I spent my time; I’m confident it was spent joyfully as the Lord’s simple parish priest. A friend recently asked me, "So Father Jim, now that you are in the parish, what is a typical day like?" I was tempted to reply that as soon as I have one, I would let them know. In time - perhaps - I will come to know what would describe a typical day in the life of a parish priest. Only a few months ordained, I can readily share with my family and friends that the unpredictable nature of my days remains a point of excitement. I guess the three decades in the business/tech world dealing with mission critical systems and crisis management was a fit for me because I enjoy the variety and challenge of unpredictable events. The life of a parish priest most certainly includes the unpredictable events, not just for me, but more importantly the unpredictable, disruptive events in the lives of those I am lucky enough to minister to each day. I take great joy in celebrating the Eucharist. This begins, for me, sitting in the back of our chapel for about 15-20 minutes before Mass. I learned to do this from Father Mike last year, just by watching his preparation for daily Mass. I might pray the Liturgy of the Hours for the day; I always run through a list of names and intentions for that day, family, friends and strangers. A few sacred minutes of that time are spent intentionally looking at the people gathering for that daily Mass ... and I pray for your intentions, whatever they may be. I occasionally surprise people at Mass, by offering the Sacrament of Reconciliation afterward ... unexpectedly, not on the schedule, something different from Saturday at 3:30 in the afternoon. I remember Bishop O'Connell's advice to the five of us when we received our first assignments, when he told us to be merciful in the confessional, and similar comments came from my other boss, Pope Francis this week in his address to priests, too. My mentor last year, Father Sam, shared some insight with me some 30 years ago when we first met, when he was a newly ordained priest; he spoke of the uncertainty that comes from the unexpected doorbell or phone call in the rectory. He spoke of expecting the unexpected. In my role as a parish priest now, his comments make a great deal of sense. When the parish staff call my office and say, "Father Jim, there is someone here who would like to see a priest," I am most grateful to be able to respond that I will be right there. Sometimes the day begins at 2 AM with a phone call; sometimes it ends later than expected. This week it included a call for an anointing where I said to myself driving to the nursing home, "Curious; I know some people with that name, old friends of my in-laws," only to arrive and find out that I know this family with that name, and I get to minister to friends as a loved one is called to God. A day might include a sick call, or a funeral Mass and burial, a Mass with school kids, a meeting for spiritual direction, a wedding rehearsal, or writing up bulletin announcements; some days might include all of the above, and others have just a 9 AM daily Mass. I'm not sure I have nearly enough experience as a priest to answer what constitutes a "typical day," but I do know that I am loving every minute of the unexpected, atypical, unpredictable days in the life of my parish ministry. My friend Monica during my pastoral year gave me a gift of a "clinging cross;" she received it from someone else in the parish, and shared it with me when I commented on it one day. It is often on the seat of my car as a way to hold tight to a prayer on my way to visit someone who needs a priest. It is a reminder that what is common to all lives of faith - for both priests and laity - is the need to hold tight to Jesus, to hang on to The Cross, and to let God provide the wisdom, the love, and the mercy in every encounter. Nearly eight years ago, on the last Sunday of October 2007, my pastor and friend, Father Damian, asked me after assisting him at Mass: "Are you done for today?" "Yes," I replied, and he then asked me, "Come, follow me." Fateful words, especially when pronounced with a brogue! In the rectory he presented me with a chalice and paten, on behalf of the parish of Our Lady of Good Counsel, in memory and thanksgiving for all that my wife, Ellie, had done as a volunteer over so many years; he wanted to present it to me that day, because as a deacon I would be filling it with wine and water the next week for our parish Mass of Remembrance. 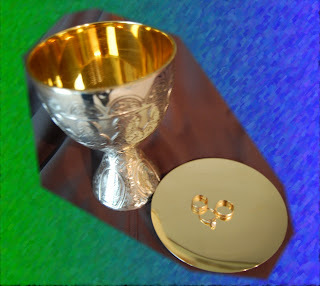 This morning, the eighth anniversary of Ellie's death, I used that same chalice and paten to celebrate Mass in her memory. It seemed all the more curious that the Gospel today, on this feast of Saint Gregory the Great, included the call of Peter to be a fisher of men. A decade ago I would not have imagined my present life and new vocation, but God, who is merciful and loving at all times, gently laid out a new path before me. With firm belief in the Communion of Saints, I am sure the prayers of all those who have gone before us marked by the sign of faith have helped intercede for this vocation to be a success. For those intercessory prayers, and for the prayers of so many friends who have walked beside me on this journey, I could not be more grateful. God in his wisdom has sent many, many people to be "Christ to one another" in my life, particularly on my vocation journey these past few years. My profound and lasting thanks to Father Damian, my pastor and the one who anointed Ellie just hours before her death, who is now my pastor as a new priest; to Monsignor Gregory Vaughan, who encouraged me along this path as our Diocesan Vocation Director when I first visited the Chancery offices; to Bishop David O'Connell, whose kind words and guidance as I entered the seminary will always echo a truth of my priesthood when he said, "Just be yourself." To my parents, siblings and their spouses, my nieces and nephews, and wonderful sisters-in-law, who stood beside me those eight years ago in Pennsylvania Hospital, and who have continued to stand close through my journey, thank you. In a special way, I also remembered in Mass this morning my sons, whose paths into young adulthood I continue to admire; may they always remember and continue to do their best in responding to their Mom's final admonition as they left the house each morning: "Make good choices." As I contemplate this, her first anniversary where I am a priest of God, I cannot help but also express my gratitude to the thousands of people I have met because of my journey who never knew her in life. The wonderful faculty, administrators, and formators of Immaculate Conception Seminary were completely unknown to me in 2007, and are now men and women who are friends, and who have surely helped to shape me as a priest. To the parishioners and clergy at St. Agnes, Our Lady of Perpetual Help, and St. Robert Bellarmine parishes who welcomed me in my formation time with you, thank you for helping to teach me what it means to be a parish priest. Most of all, I am grateful that God is not done with me yet; each day He invites me to live my life as a priest, as a father, and as a friend. May He continue to bless me and all those I love through His goodness, and may He send a few younger men along this same path, just as He called Peter in the Gospel today: Come, follow Me. Yesterday's celebration of the World Day of Prayer for the Care of Creation has achieved something in me, at least, in that I have felt a profound attention to the unfolding of creation around me these past few days. This instills something of a sense of both our individual smallness within the vastness of God's Creation, and a sense of our uniqueness as each person, carefully, perfectly and intentionally formed in the image of God. Some of that smallness is due to my friend, Larry Pizzi, who has treated many of his friends recently with some amazing time-lapse photographs of stars. Some months ago, on the commemoration of Thomas Merton's 100th birthday at the end of January, I was contemplating these same stars from a perspective of faith, while reading his book, "Dialogues with Silence," I composed the reflection below; it was my own way of contemplating creation as seen through our place in the cosmos, as beloved sons and daughters of a loving God. As Merton often wrote, we need to embrace silence and solitude to listen to the whispers of God. What better way to become immersed in silence than to contemplate the stars which our Creator has placed above, below, and all around us. 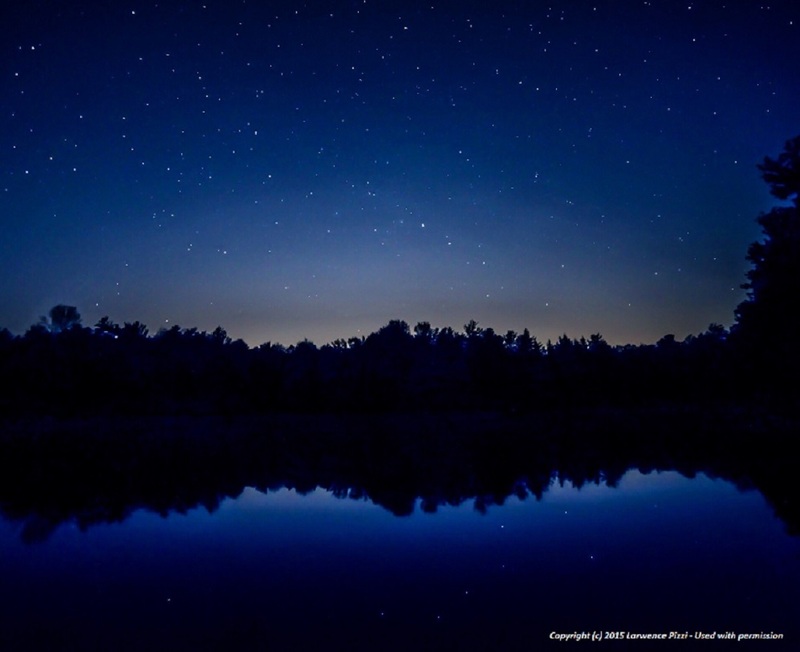 Thank you, Larry, for sharing this photo for my use here, and for your encouragement to share this simple reflection on Heaven and the heavens. but only seen in the darkness. to be seen and heard in the light. from the seashore and the mountains. and hurled over our horizon. hidden in darkness, hidden in light.